Our current labor system is a system of survival – yet it is not a system that actually support life. In an Equal Money System all living beings will be properly cared for. This includes food, water, a home, clothes, healthcare and an education. Another cool point with an Equal Money System is that it recognizes that life should be, and will be, more fun with Equal Money. Once all our basic needs are taken care of, we’ll be able to find something that we actually enjoy doing then actually be able to do it. The jobs which are an important part of human survival, those that actually support life, will be placed within a 4 year conscription. What this means is that once one is through with their primary education then each will participate for no more than 4 years within a labor system to assist with those jobs that must be done to meet the basic requirements of keeping society moving and functioning practically, according to what’s best for all. Each will learn and participate in becoming aware of what is involved in maintaining and preserving life within our physical reality on earth, where all will be able to experience dignity in living. We’ll begin to express ourselves in ways we’ve never known. 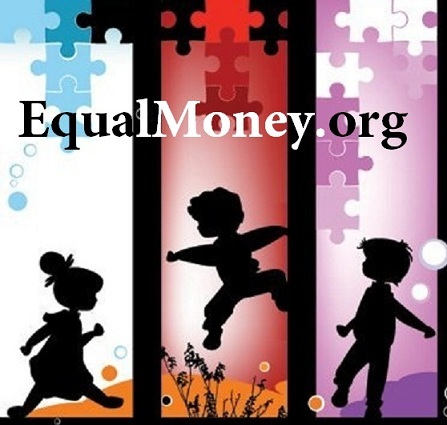 The fact that Equal Money is home of the 4 year career plan will be a welcomed change. A change that will stop rising prices and static incomes which are hitting people hard in all areas of our world. Capitalism within our current money system is forcing further cutbacks in what is already frugal to nothing lifestyles – which has meant years of work with only the ‘possibility of retiring‘, so that ‘maybe’, then, one can enjoy life. Equal Money will bring about a World where All living beings are able to enjoy life because, Equal Money is home of the 4 year career. It’s a FAQ! This entry was posted on November 29, 2011, in Uncategorized and tagged 'fear of survival', Desteni, Desteni Wiki, destonians, EMS, Equal Money System, equality, equalmoney, heaven on earth, individualism, money, politics, research. Bookmark the permalink.